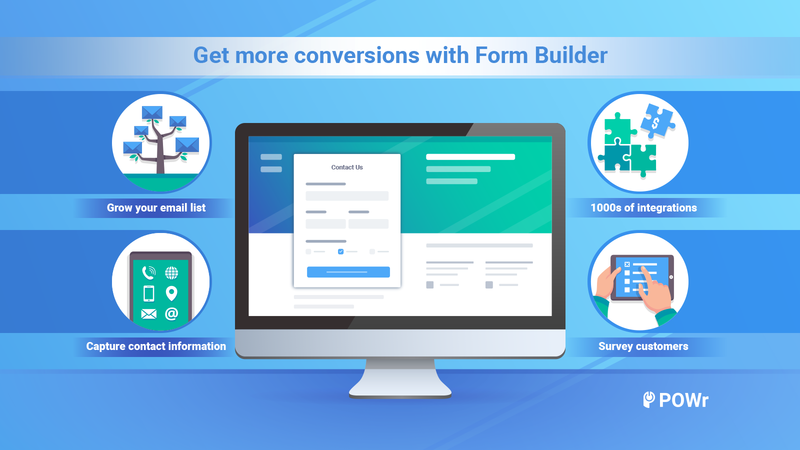 Choose from over 20 different form field options – from dropdowns, multiple choice, email, phone number, images, the choice is yours! 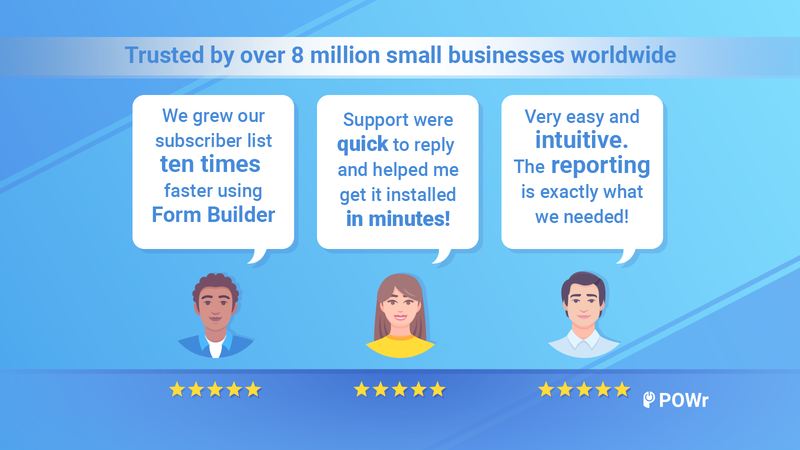 Need an easy way to collect information from your customers, let them get in touch, and grow your email list? 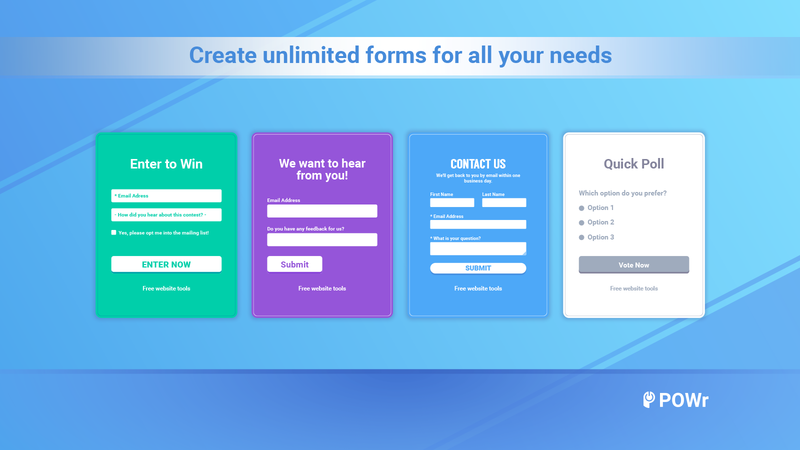 Subscription/Membership forms – grow your email list by encouraging visitors to sign up. Feedback forms – collect valuable information on how to improve your products/services. Order or returns forms – collect order or returns information and send customers automatic confirmation emails. Contact forms – make it easy for customers to get in touch and prevent spam with a Captcha option. Surveys – do market research for a new product or idea. 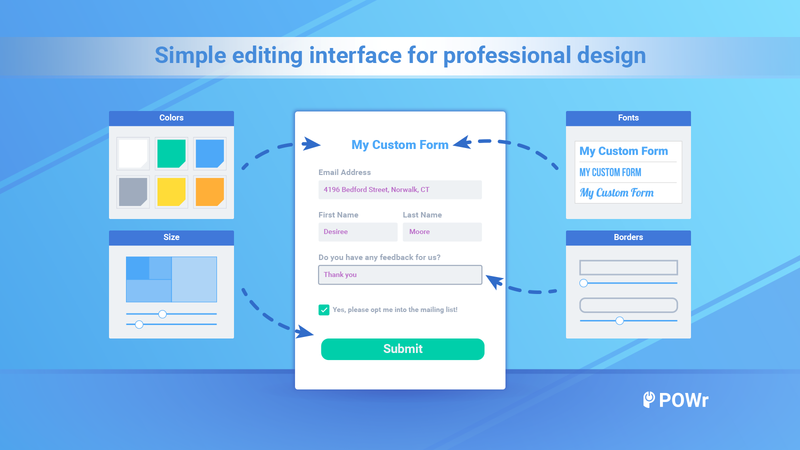 Get started for FREE and create as many forms as you need for your website. 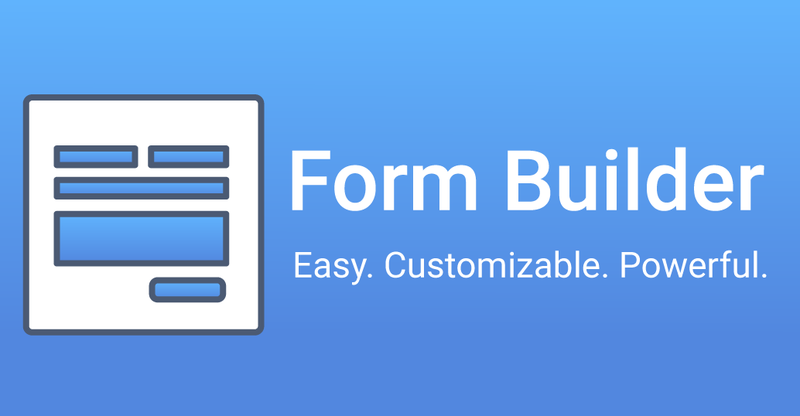 Get your mobile responsive form up and running in seconds with no coding required! You can even integrate with any app supported by Zapier for greater automation, such as Google Sheets, MailChimp and more! Redirect users after submission to a specific URL.